It would be interesting to ascertain whether single artist compilation albums sell more copies to their existing fan base or to new customers sampling their music for the first time. Obviously this forms part of a double spearhead marketing strategy for both artist and label, although the ultimate aim probably lies in the widening of appeal. 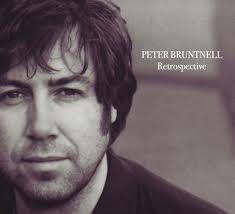 Released on the Loose Music label, his latest home, RETROSPECTIVE does what it says on the tin as Peter Bruntnell takes a contemplative look at his eighteen year recording career in this extensively packaged offering. For his existing admirers, this collection will need little introduction with the only re-recorded track being ‘Played Out’ with the new version featuring Brit award nominee singer-songwriter Rumer. Any subsequent reviews will probably render surplus to the purchase decision making of existing fans, but for the uninitiated they could lead to the door of one of UK mature music scene’s best kept secrets. Peter has been plying his trade in the alt-country movement on both sides of the Atlantic for nearly two decades. However this often below the radar genre is continually acquiring new followers especially those from the indie scene requiring a little sophistication and country fans on a left field journey of discovery. 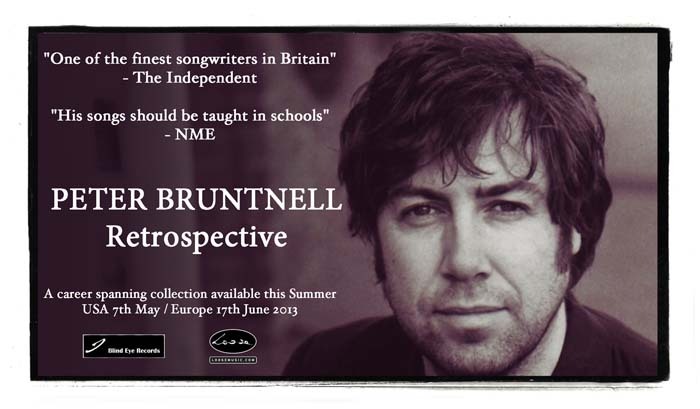 The music of Peter Bruntnell will appeal to both these parties with its versatile guitar orientated sound and dark moody vocals wrapping themselves around intelligent yet slightly pensive songs. Instant gratification is not on the menu in this seventeen song collection that comfortably spans the hour, yet its absorbing qualities will soak deeper into your mind with each listen. Once hooked there may be a temptation to delve into the eight albums which supplied the tracks in almost democratic precision, although quite easily this well packaged album may act as a sufficient indulgence until a release of new material appears. There’s a fine line between some of the delicate acoustic numbers and where Peter amps up a more rousing electric sound but there is also a vein of consistency in the often introverted vocals which add to the mystique of the songs. Killer melodies are not the order of the day but the haunting and cultivated aurora to the songs will resonate with deep thinking music seekers. This collection has more an entity feel than possessing stand out tracks but if you insist on a little sampling first ‘I Want You’, ‘Have You Seen That Girl Again’, and ‘By The Time My Head Gets to Phoenix’ will whet your appetite. Although if you decide to take only one track to your heart then go no further than the magnificent ‘Here Come the Swells’. The tags Americana, alt-country, alternative and country rock have been attached to Peter Bruntnell in the past and this is enhanced by his association with and respect from such lauded genre artists as Son Volt, Richmond Fontaine and Lambchop. However Peter will continue to be a free spirit bound by no rules just an inbred remit to make good music. So if you rate yourself as a serious fan of left field music and are not yet acquainted with Peter Bruntnell then RETROPSECTIVE is the opportunity to move the tag of best kept secret to someone else.